You're not drinking enough Riesling. Not nearly enough. None of us are really. Riesling may represent the single greatest wine value in, er, wine. No, I'm being serious, how often can you find some of the best wines a state or region is producing from a single varietal for around $20, aside from like Siegerebbe? Nearly never. Riesling does that for you. I attended a seminar; Proving Terroir Matters with Dr. Ulrich Fischer, he's a wine scientist and scholar, he's German and he knows his stuff. His sense of fashion? Also, impeccable. I mentioned this already, but he's German. What Uli wanted us all to understand was that a: terroir really matters, in terms of quality of the wine, and so a designation of a vineyard as special, in Germany the Grosses Gewächs designation is Germany's highest for a vineyard. Think France's Grand Cru. B: terroir is fleeting. Uli pointed out that once fruit is allowed to attain a bit of over-ripeness that the wine made from it loses it's ability to communicate the sites terroir. C: Terroir isn't magic. Uli went on to explain that based on his scientific research they were able to identify components of soil, particular kinds of mineral concentrations. These were strong correlations, not every single time mind you but for example, certain bedrock types tended to produce certain aromas. Basalt for example was often linked to lemon, grapefruit, and smoke aromas in Riesling, where as sandstone showed correlations to grass, boxwood and often times harsher acidity. Slate, which is perhaps the Mosel's greatest natural resource was known to impart apple, lemon, grapefruit and very distinctive acidity. There were other factors too, cantaloupe aromatics seem to be reliant on growing degree days, or temperatures. Floral aromatics tend to correlate to concentrations of sandstone and solar radiation that is released from the vineyard's top soils. 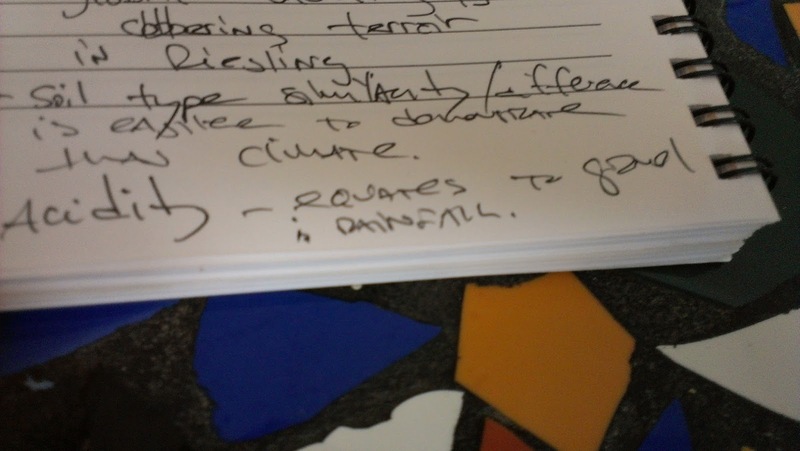 Acidity equates to "something" in rainfall, only I can't read my notes. Any guesses? 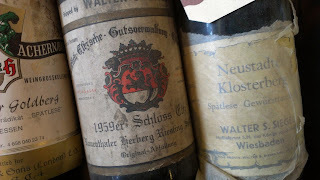 We tasted through some amazing German Rieslings, Donnhoff, Loosen, Reichsgraf von Kesselstatt and the 07 Christmann Kongisbacher Idig GG, which Uli described as a Burgundian Riesling. To quote him, "It has limestone, honeysuckle, rrrrawr, it's wonderful!" 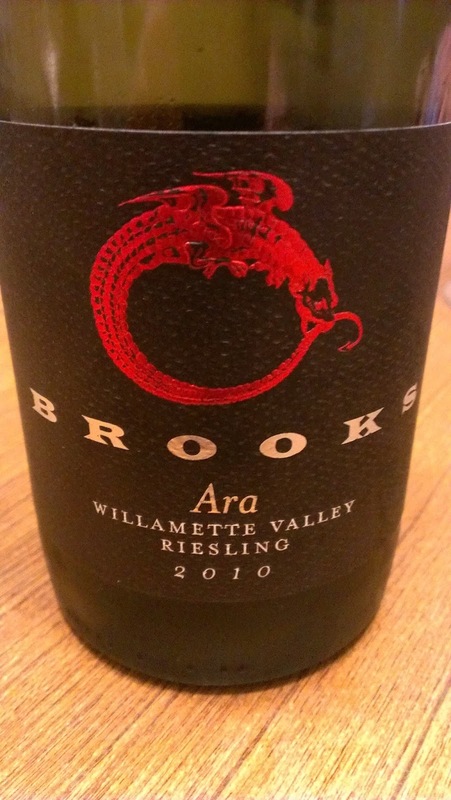 I was thinking of the fine Riesling from the Northwest, I tend to see emphasis on fruit forward robust aromatics from Washington, I'm generalizing. From Oregon and BC I get more citrus, minerality and acidity that tends towards what we've come to think of as a more complete Old World style. At this point, I don't know that Riesling vineyards or sites are established enough to point to specific terroir here in the Northwest, but I do think that we see more obvious distinction in wine style when it comes to our growing conditions. Washington's Rieslings, and I'm generalizing are typically lower in acid, have higher sugars and thus are a touch sweeter. They are aromatically and in terms of their flavor a bit rounder. Think tropical fruit characters and ripe juicy peaches. 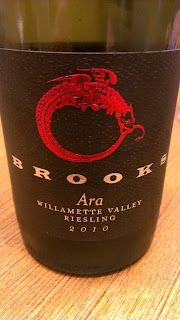 Oregon on the other hand has some quite acidic Rieslings, loaded up with green apple and wet slate minerality. I talked with regional wine experts Sean Sullivan of the Washington Wine Report and Cole Danehower of of Essential Northwest Wines who makes his home in Oregon about their take on the region's Riesling. 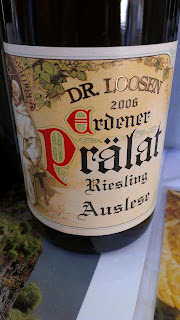 Sean sees Riesling as perhaps the most well suited white grape for Washington, if perhaps a little under-appreciated. "...there are a limited number of high quality bottles being produced. I attribute this to a couple factors. First, growers don't farm Riesling the same way that they farm premium red grape varieties like, say, Cabernet Sauvignon. This has a direct effect on quality. For example, Riesling is often cropped at a relatively high tonnage, such as seven or eight tons per acre. The vines seem to be able to sustain this and produce good quality wine, but not typically great quality wine." For a sense of perspective in a vineyard like Ciel du Cheval, Cabernet might be cropped at more like two tons per acre. In Oregon, Cole thinks the table is certainly set for fantastic Riesling, but are there enough chairs? "In 2011, riesling was the 4th most planted grape in Oregon. A whoop-dee-do 700 acres—down almost a hundred acres from the previous year. Actual harvested acres was even less at 550 acres—also down by about 100 acres. Note the declining trend." Cole points to a similar economic, price per bottle factor that Sean mentioned. 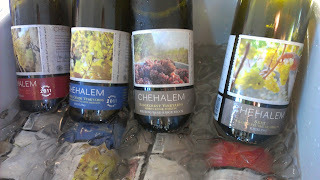 But, as Cole pointed out, there's a more natural affinity perhaps for Riesling given the state's Pinot Noir dominance. As opposed to bigger brawny wines that might be cultivated in Washington, Riesling and Pinot have a reputation for elegance and a natural place at the dinner table as "food friendly" wines. 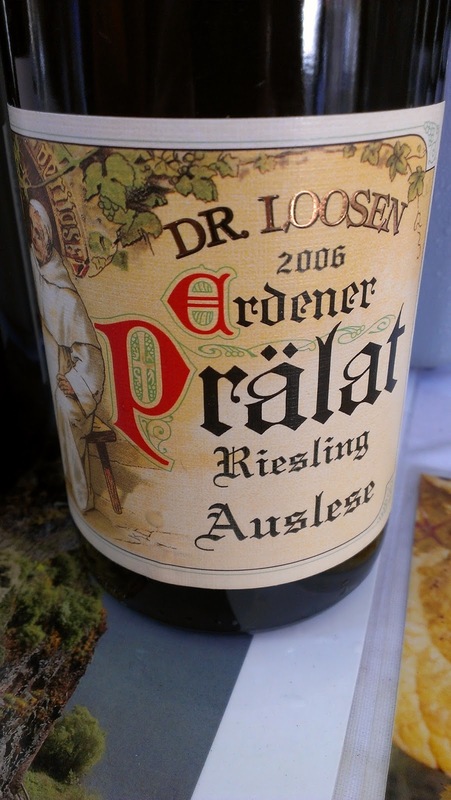 "Within the last few years there has been a new upsurge in riesling popularity in Oregon. Partly I think this is because Oregon winemakers have started working toward an “Oregon style” of riesling. While dry rieslings are still the predominant Oregon style, they share with Oregon rieslings across the sweetness scale a stylistic preference for high acidity and flinty fruit." What might be happening in Oregon, and something to get very excited about is a growing focus on a particular style of Riesling. 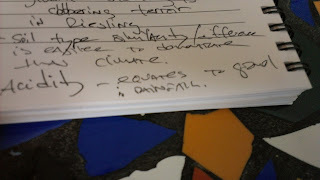 What might follow from that is this sense of place, or terroir that so far has eluded northwest Riesling. Cole sees real sense of place in the Crow Valley Vineyard that is the focus of Teutonic Wine Company, the Brooks Estate and Corral Creek, the latter being the side from where Chehalem is making really profound Oregon Riesling. What's clear to those interested is that Riesling can and does communicate a real sense of place, and the most established of which being found in the Mosel Valley. However, if the right winemaker wanted, and it seems that Oregon producers Chehalem and Trisaetum are going in this direction, by making multiple Riesling each vintage, single vineyard Rieslings will give us a true sense of the kind of place Oregon might be for Rieslings. We'll have to stay tuned and see what happens.